Conference room shortages mean now is the best time to invest in those assets. Conference room space has become a premium resource for businesses everywhere. It's limited, and doesn't come cheap. In San Francisco alone the average cost of commercial real estate comes in around $72 a square foot, as noted in a 2016 commercial report by CBRE Group. IT or office managers might ask themselves why they should continue investing in the upkeep of such expensive real estate. After all, the popularity of remote workers, open spaces, and virtual meetings all seem like equally valid and less expensive alternatives to having a dedicated space just for face-to-face meetings. I would argue that companies must invest more, not less, in conference rooms. When space is no longer readily available, these resources become prized assets. With the open office layout, you lose a degree of privacy and personal space. If you must take a private call or huddle the team together for a meeting, you will most likely want to retreat to a conference room. This poses a challenge to IT and office managers who must make the best use of the space they have. Inspired by "The Walking Dead," we've begun using the phrase "zombie meeting rooms" to describe a common ailment among enterprises. The conference room log shows a room booked for a meeting, but when you walk by the room, nobody is there. Or, you have a conference room booked for a series of meetings but neglect to release the room on those days you need to cancel or reschedule the meeting. In both instances, another team that really needed to gather together could have used the space. Zombie meeting rooms reduce productivity, increase facility costs, and drive employees nuts when they're in a bind. The best way to kill a zombie meeting room is with innovations in conference room technology. 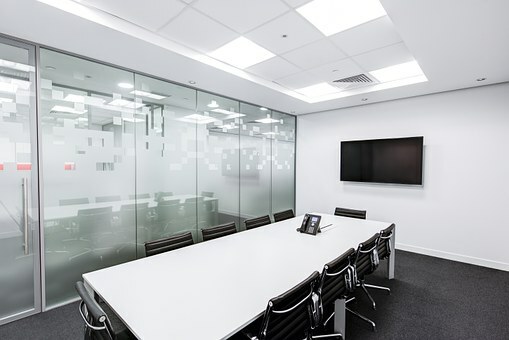 Companies have done a great job modernizing conference room aesthetics with high-end comfortable chairs, fine wood-grain tables, multiple lighting settings, and big 4K high-definition TVs. But they can do more by investing in the "intelligence" behind the aesthetics, creating rooms that enhance and automate collaboration. The technology for doing so is available and starting to get even better. Smart conference rooms can significantly improve space management. For example, our IT people are working with Cisco and Teem on a room booking and management system that can recognize when a reserved room is in use. If nobody is in the room after 15 minutes, the booking system will reopen the room for others to use. The same goes for a reservation series. After three missed meetings, the system will delete the series and open the room on an ongoing basis. When it comes to finding a room, we've done some interesting work employing chat bots. We've built bots straight into our messaging tool, Cisco Spark, that will find and book open rooms for employees. Spark connects to Microsoft Exchange, provides a list of available rooms, and allows booking through the bot window. Employees can do all this from their PCs or mobile devices. Future iterations of this technology will add more options to the booking process. Besides booking the room, we will have the ability for an employee to specify the size of the room and whether it needs catering, a white board, or IT support. Cisco is making some great strides with the endpoints in these conference rooms. It uses facial recognition technology to identify the number of people occupying a room, and then can trigger a meeting based on that information. Artificial intelligence will one day be a significant feature in these rooms, like what we've seen with Alexa in the home. Cisco has shown off a Spark proof of concept, for example, that lets you vocally address the room to start the meeting. You don't have to remember dial-in numbers or worry about access codes. The room itself will automatically loop in remote participants. As AI matures the sky's the limit on what these rooms will be able to do. We are working on future applications that will be able to control lighting and AV, pull up a presentation, or act as a virtual presentation moderator. A smart meeting room is also self-sufficient. The biggest impediment to a productive meeting is faulty equipment -- a laptop can't connect to a monitor or a TV doesn't turn on. We've worked with RoomReady on a system that offers a post-meeting participant survey that provides a gauge of how the session went. Any issues flagged in the survey will automatically lead to an IT ticket for fixing. This helps keep more open conference rooms in circulation. Security should never be underestimated, especially when it comes to meetings where corporate ideas and intellectual property are discussed in the open. The smart meeting room takes security into consideration. An innovative feature that Cisco offers is Intelligent Proximity Content Sharing, which pairs a device (smartphone, tablet, or laptop) with Cisco room-based video collaboration endpoints when they are in wireless range. It's possible to localize the range to the room itself so that once the door closes it stops anyone outside from intercepting that signal and accessing any shared files. Now that I've outlined some conference room innovations, next I'll dive into the best ways to go about implementing these innovations to successfully end the scourge of the zombie meeting room. Stay tuned for Part 2!